Israeli Waze app makes its way to global highways. The tech industry has witnessed a generous dose of acquisition whoppers lately. Among the list of remarkable matchups is Google’s purchase of the famous map and navigation app Waze. The Internet company bought it for US$1.15 billion in 2013. The thing is, Google was not the only one vying for Waze’s attention. Other tech giants were in on the race to be part of the amazing app. Apple tried to kick their tires for a US$500 million deal. Facebook wanted to pull them over with a US$1 billion contract before Google closed the agreement. In an interview with Business Insider, Waze cofounder Uri Levine said the company never planned to sell, but he and other founders agreed that if they were ever offered a billion dollars for the company, they would. And so they did. Waze is the first billion-dollar company that came out of Israel. But did you know that it actually began as a community project? Waze Mobile, the company, established in 2009 with the help of venture capitalists from Palo Alto and other places. But Waze, the app, a free turn-by-turn mapping and navigation app for Android and iOS users, was born three years earlier. Its developer, Ehud Shabtai, was always losing his way when getting to places. Someone gave him a GPS device to help him with directions and, being an open-source guy with a background in IT development, infrastructure and software, he tweaked it big time. In 2006, Shabtai started the community project Freemap Israel, a free digital database of the map of Israel, which he designed to be a collaborative effort among users. Despite the emergence of third-party mobile mapping apps, Waze was able to pull off a constant growth curve because of its distinct crowdsourcing tactic. Instead of diligently mapping out each road, byway and lane, the project depended on millions of users to serve as cartographers, field ops and traffic cops, as well as to flag and record updates on accidents, traffic jams and bottlenecks while they drive. The app collects real-time user information, develops and improves its own maps, and figures out the best possible routes or re-routes for drivers. It took the company only a year to attract as much as $67 million in external funding from Horizons Ventures in Hong Kong and some of the huge Silicon Valley businesses, like Kleiner Perkins. The company grew to about 110 employees, mostly from Israel and around 10 from Palo Alto, including CEO Noam Bardin. The Google acquisition was, so far, the biggest news for Waze, but better things are yet to come. In a recent video conference at the Ateneo de Manila University Graduate School, organized by the Israeli Embassy in the Philippines, Waze cofounder Dror Cohen announced they will launch a ride-sharing service called Waze Carpool. The service aims to lessen the traffic significantly, particularly during peak hours. Unlike vehicle on demand services Grab and Uber, Waze Carpool is mainly designed to allow Waze-using private drivers to share a ride with commuters who have almost the same routes as theirs. The app is used to track rider routes and requests. Cohen also said they’re working on add-on features that will allow the app to recognize predictive patterns and holiday traffic behavior on the road. 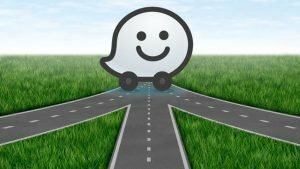 Waze Carpool is currently going through beta-testing with 25,000 employees from different companies in San Francisco, USA. In time, Cohen says, the new scheme will be available in the Philippines and worldwide, and it aims to get rid of half of the cars on the road.